Want to see local money helping local people? Then step forward Boom! Credit Union | Joining In! The newly formed Boom! Credit Union helps people avoid doorstep lenders and rent-to-buy shops by offering affordable loans. The two credit unions that served Surrey and West Sussex have joined forces to provide a safe and ethical alternative to help local people in Guildford on benefit and low incomes cope with the pressure of spending. Catherine Illingworth (left) from Boom! Credit Union with JenniAnn from Kane FM. The radio station broadcasts from its studio on the University of Surrey campus. Currently Boom! Credit Union is working hard talk to reach out to residents in Guildford. This week, Catherine Illingworth from Boom! 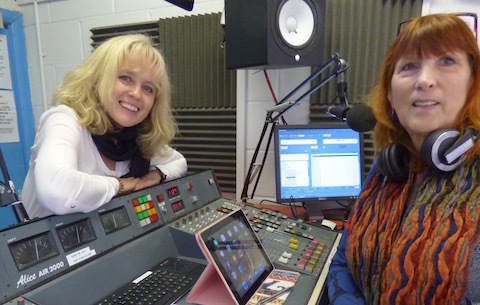 Credit Union went on air at Guildford’s Kane FM radio station to talk about how it can help the local people of Guildford. Meanwhile The Guildford Dragon News has asked Boom! Credit Union to tell all about the service it offers. A credit union is an independent, not for profit financial institution. We are local, serving people across Surrey and West Sussex. We work for the benefit of all the community. Unlike many doorstop lenders and rent to buy shops we encourage local people in the community to save what they can, borrow responsibly and repay what they can afford. So how does it work? Members save with us and then we use those savings to lend to those in the community who may need it. Sounds simple – that’s because it is! What are the benefits for people who are looking to take out a loan or make savings? We at Boom! Credit Union have no third-party shareholders so the only people who profit are our customers – those who save and borrow with us. We help people by offering affordable loans with no fees, hidden charges or penalties. For those who can’t get a loan at a bank or who have a poor credit history and who may resort to expensive doorstep lenders and rent to buy shops then we are a real cheaper alternative. We encourage everyone to save, even borrowers. It succeeds because part of your debt repayments go into a small savings account that matures when the debt is paid off. Debt gone – and the reward is a pot of savings for you to continue saving with us or to withdraw and use as you wish. Your savings are 100% safe too protected by Financial Services Compensation Scheme (just like banks!). Boom! Credit Union is the name of your credit union, run by West Sussex and Surrey Credit Union. The two credit unions have come together. How and why has this happened? SurreySave and West Sussex joined forces at the end of September to provide a safe and ethical alternative to those “just about managing families”, those on low incomes or with a poor credit history. The merger has created a larger, financially stronger organisation that will ensure the long term sustainability of the credit union movement in both Surrey and West Sussex better able to support those families who are struggling and may resort to doorstep or pay day lenders and rent to buy shops. Our financial strength will ensure we can continue to look after all our customers across West Sussex, Surrey and Kingston upon Thames. Explain the ways you are informing people in the Guildford area of the service, and any particular parts of the community you wish to reach. We believe every resident in Guildford should have access to affordable loans. The Bank of England and the TUC have put figures out recently that show the level of personal and household debt are on the rise in the UK coupled with post-Christmas money blues. We want everyone who is struggling financially – those “just about managing families”, perhaps have a less than perfect credit history or can’t get a loan at the bank to know Boom! Credit Union is the local, affordable alternative to those expensive doorstep lenders or rent to buy shop. 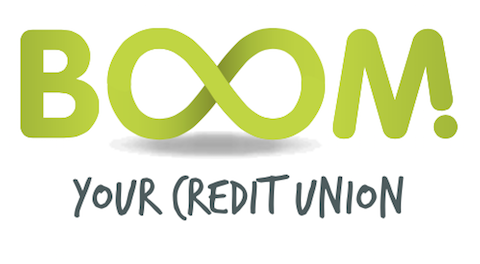 Visit our website www.boomcu.com, call us on 01903 257254 or check out our Facebook and Twitter pages. Guildford Borough Council’s community wardens have been particularly supportive of our work and our efforts to engage with Guildford residents. So watch out for us; we will be knocking on doors, talking to residents directly about our services and working with the local community who need our help. We envisage Boom! Credit Union will become the household name for personal, friendly, local saving and borrowing in Surrey and West Sussex. You have a number partners that include local authorities and organisations. Are you planning to add more, particularly in Surrey and the Guildford area? We want to work with everyone in the Guildford area so we can reach out to more and more people who need our services this includes Guildford Borough Council and others. Under the umbrella of the council’s Project Aspire, in which it says “every person matters”, we also think that “money matters” too. We want to ensure that everyone in Surrey has access to affordable loans. But more importantly we want to help residents to break the cycle of payday or doorstep lenders and rent to buy shops. If you can help us to do this then please do get in touch. Email Allan Hancock at Allan.Hancock@boomcu.com or call on 01903 237221. What is the best way for people to contact you interested in finding out more? Visit our website www.boomcu.com, call on 01903 327221 or follow us on Facebook and Twitter. All loans are subject to affordability and credit checks. Boom Credit Union! is based at 129 Montague Street, Worthing, West Sussex BN11 3BP. Authorised by the Prudential Regulation Authority and regulated by the Financial Conduct Authority and the Prudential Regulation Authority. Firm Ref: 475226. All deposits are protected under the Financial Services Compensation Scheme.